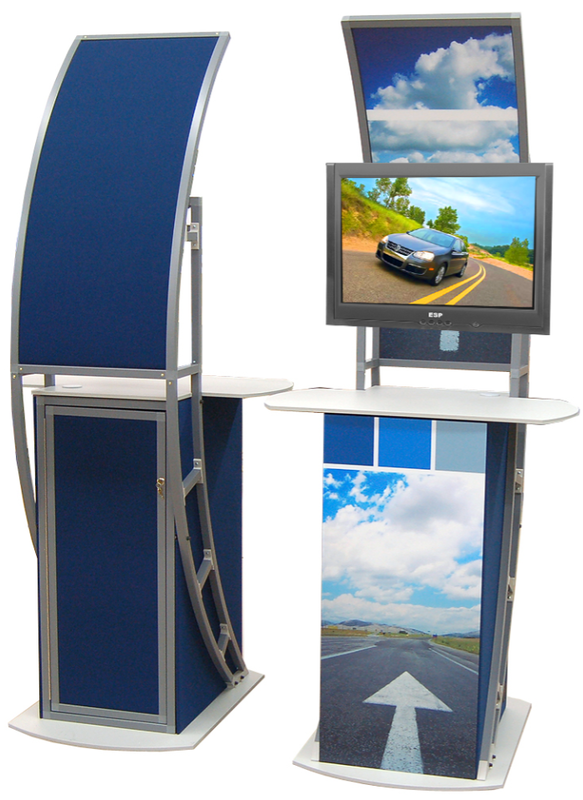 Our OutRigger Media Kiosk provides a portable workstation to deliver or collect information. 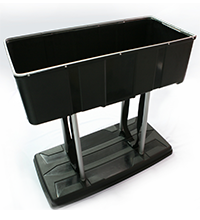 The Kiosk provides a work surface for collecting leads and a storage compartment for extra literature, lead forms or equipment. 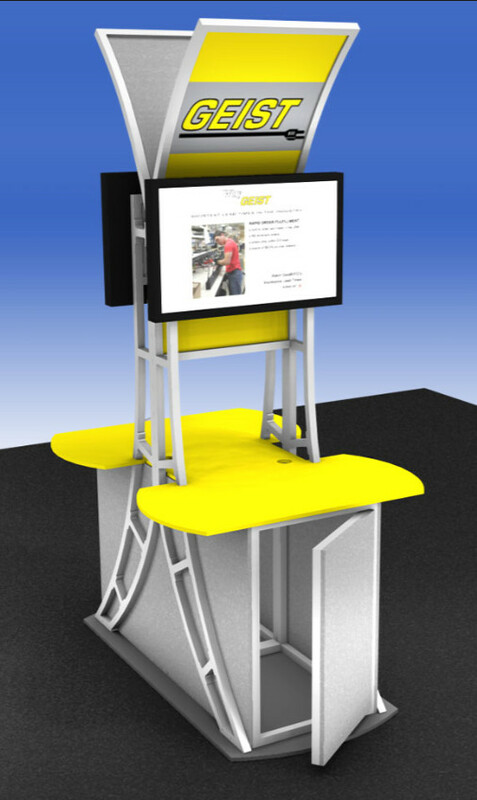 The kiosk typically supports a 17 to 42″ monitor but we can customize the kiosk frame to accommodate up to a 55″ monitor. 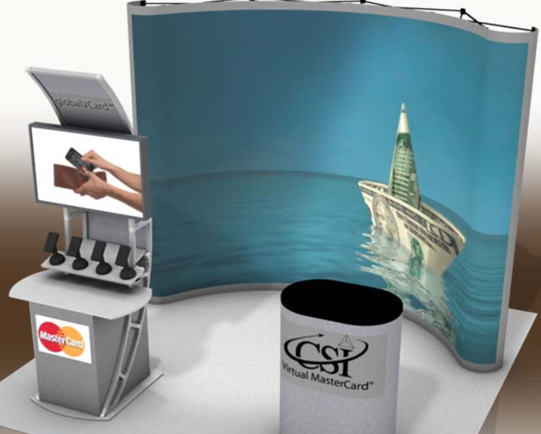 An audio Sound Dome or “Spotlight” speaker can be added to focus your message on your viewer to isolate your message from the background noise. 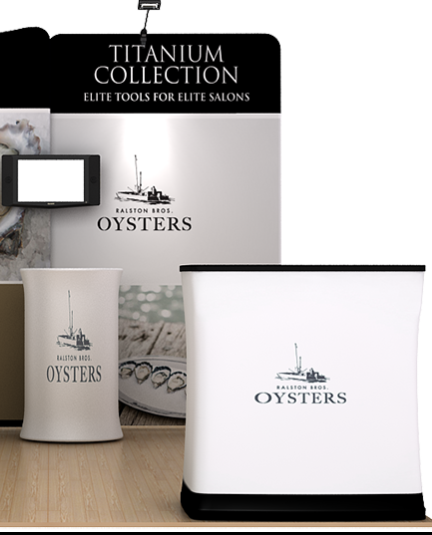 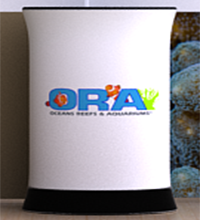 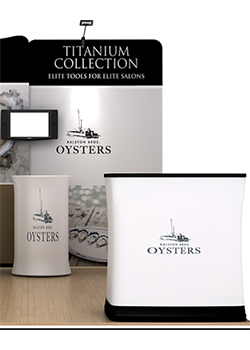 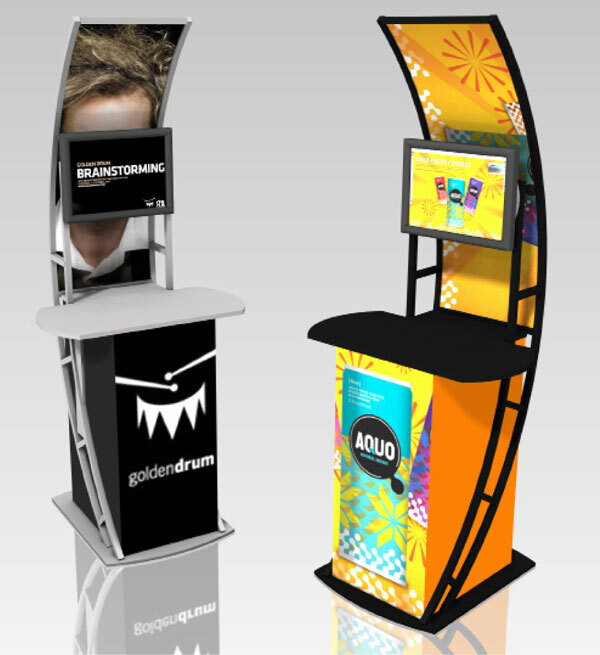 We can customize the kiosk with custom literature or specialty product holders for your custom needs. 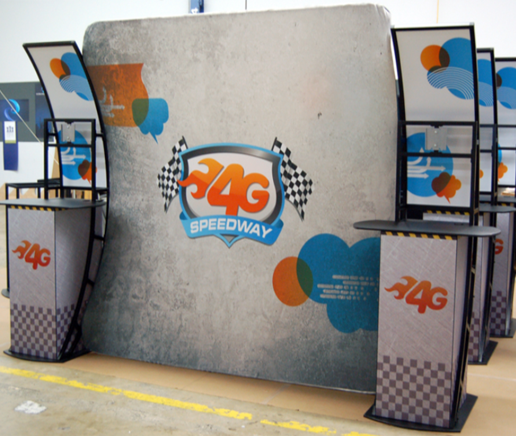 Includes top graphic, monitor mount and storage cabinet. 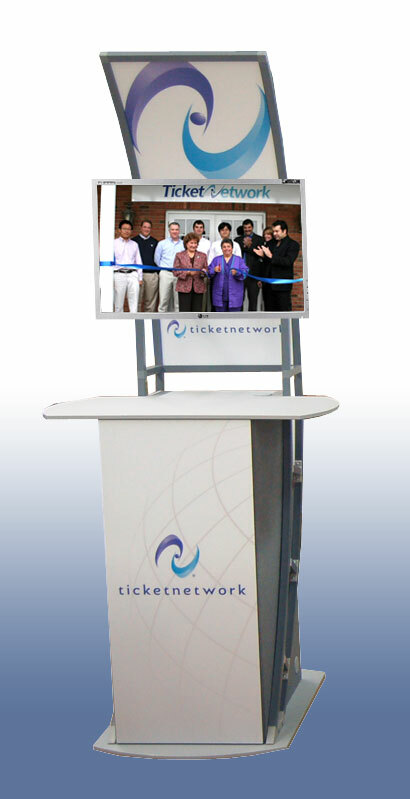 Specify dimensions of your monitor. 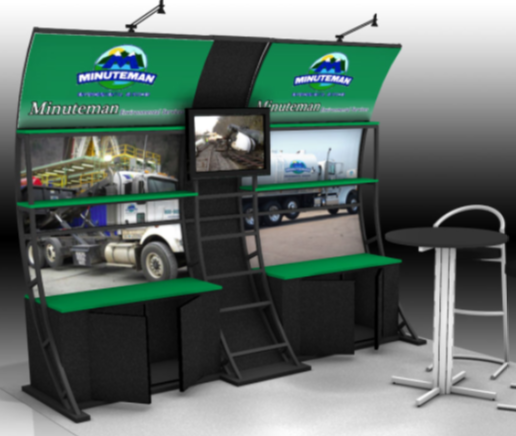 Request A Quote for your custom application. 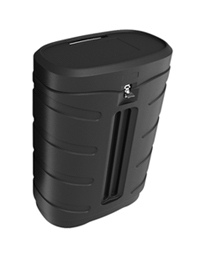 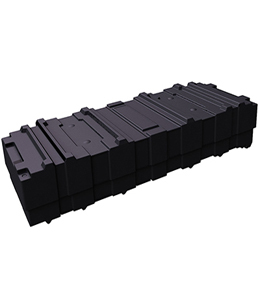 Monitor & Shipping cases can also be quoted. 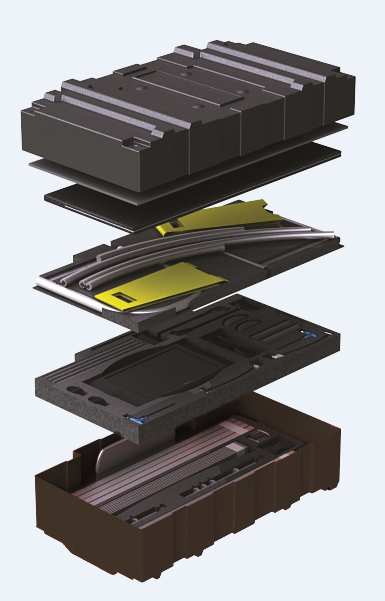 Hard shipping cases are a great investment when shipping common carrier, and ahead of your event. 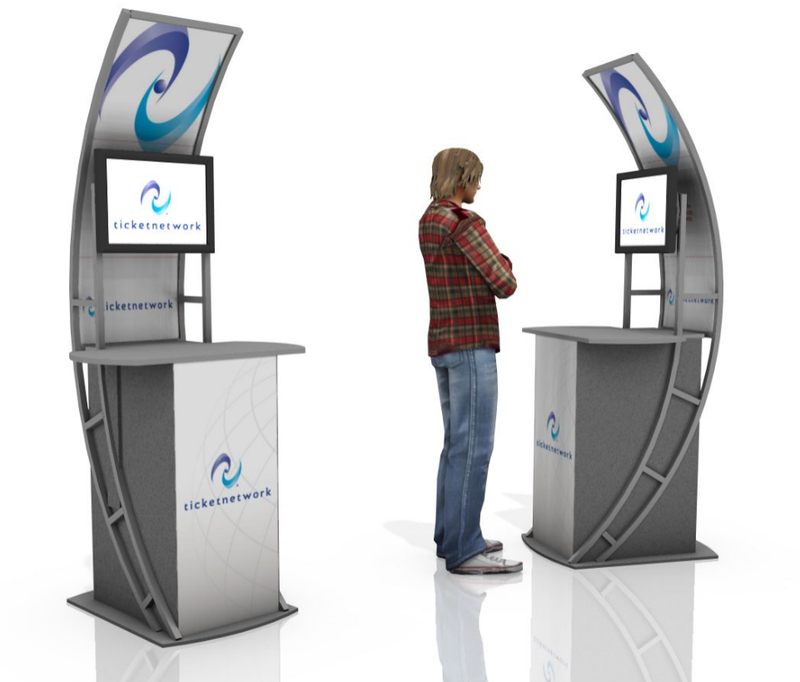 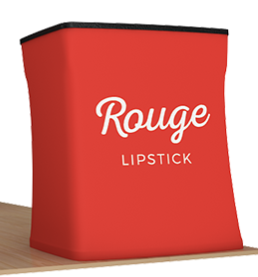 You also have the option of choosing a case that converts to a podium or counter, thus serving double duty as it becomes a design element for your display. 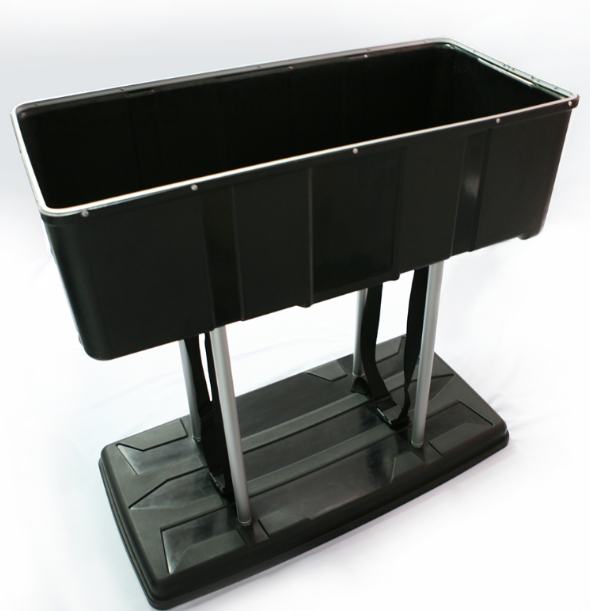 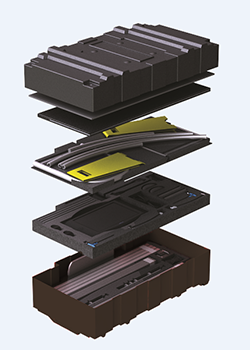 Other shipping cases may be substituted or added to accommodate your display requirements. 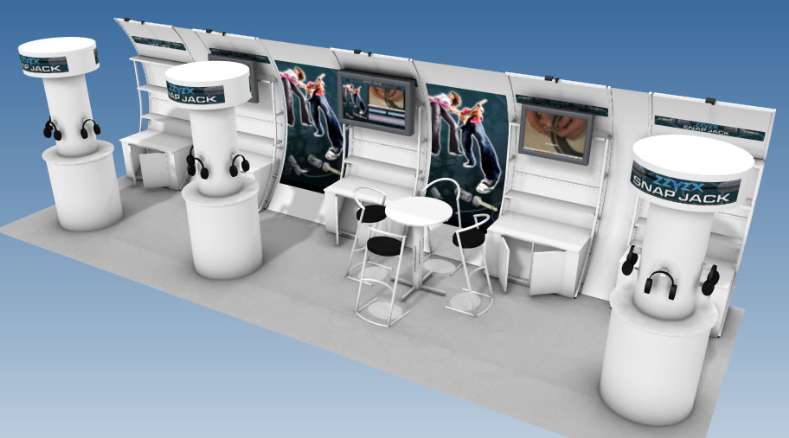 and mask background noise for your kiosk viewer. 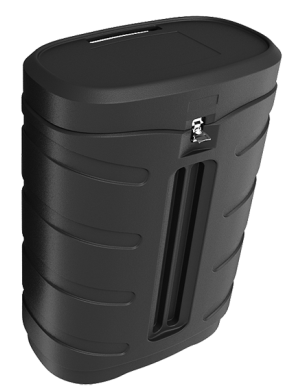 The Sound Dome adds about $1,200 to the price. 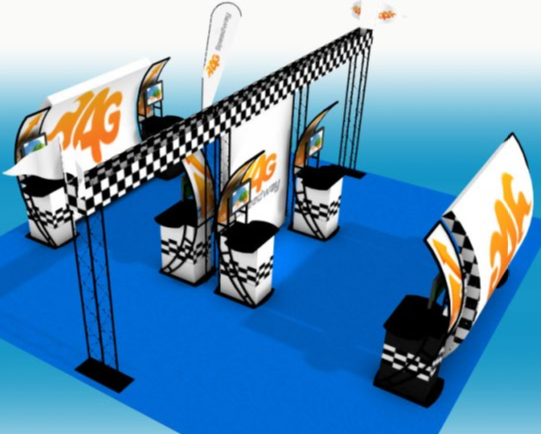 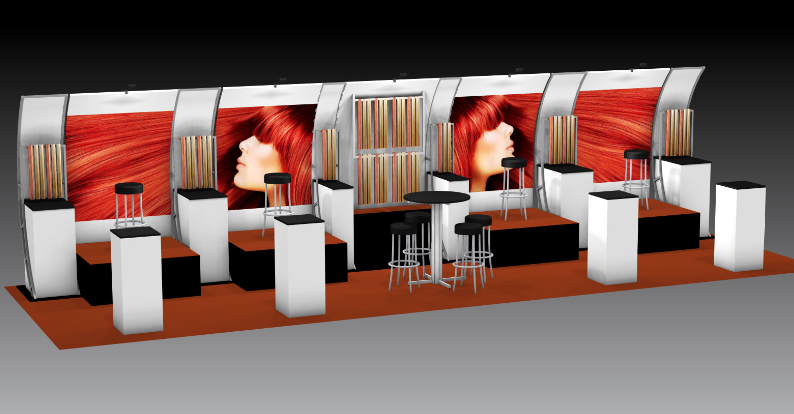 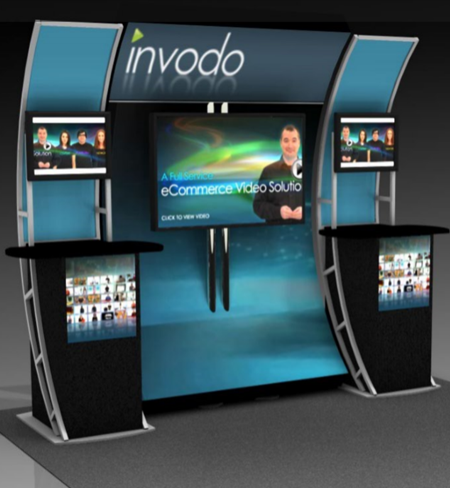 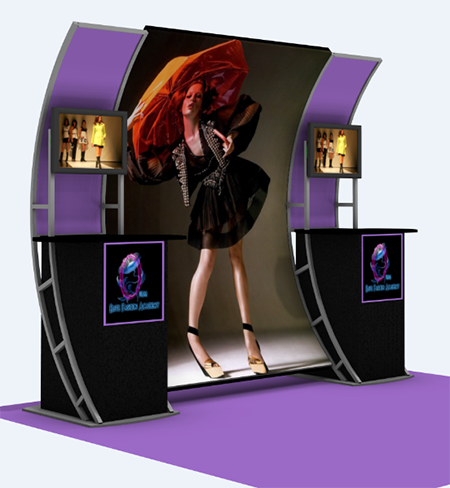 We can build custom configured Kiosks To display your product, literature while delivering your message.